Canadians love social media! In fact, 64% of the country’s population are active on a variety of platforms, making us among the most engaged social media users in the world. The popularity of social media provides businesses with significant reach to the users who matter most. More than half of Canadian social media users engage regularly with brands. Social contesting is the perfect way for brands to connect with their target audience. It increases the quality of interactions the brand can have with their fans, without requiring a high level of commitment. When companies post on social media, users might not be able to see the immediate value in engaging with the post — even if they enjoy the content and find it useful. With a contest or giveaway, on the other hand, offering a prize will instantly make the post more appealing. Users will be able to see the immediate benefits of engaging with the content and may share it with their followers. Users love to share posts with their friends, especially if it’s a contest opportunity. The excitement and interest surrounding contests can help a post go viral, expanding the brand’s reach beyond their usual following. Interactivity and engagement are valuable in social media because it helps your post perform well in the platform’s algorithm. As your post gets comments, likes, and shares, it will show up on more user news feeds. This is especially important when you consider that the shelf life of an organic post can be as low as 18 minutes. Track exactly what type of engagement you’re getting (likes, comments, shares). Based on your results, you’ll learn how to tweak campaign messaging and objectives in the future. If you get fewer likes but a lot of comments, you can focus your future contests around engagement in the comment section. Get insights into your social audience. Where are they coming from? Who are they? How old are they? This will help you with targeting for any types of posts, especially if you’re paying to boost them. A little bit of spend behind contest posts goes a long way! If one of your objectives is to extend your reach, boosting the post will expand your audience beyond your current followers. You can target based on location, age, interests, gender, job title, and even relationship status. Asking people to share their photos as part of the entry criteria can help build a stronger relationship with followers. By having them relay a personal story to your brand, it establishes a connection and sense of community. Another benefit is that you’ll gain user-generated content that can be used in other posts or on your website — provided the right permissions are gained. Where Should You Run Your Contest? Facebook is the most popular social media site and the most valuable for social contesting. It’s a great platform to get granular with target audiences. You can target age, gender, location, interests, income, and even life stage. You are also able to use a Facebook Pixel for tracking conversions, creating lookalike audiences, remarketing, and getting other insights from your contest. Copp’s Buildall is a home improvement store in London, ON. The company launched a Facebook contest in February that asked followers to share photos of their ugly bathrooms in the comment section, the winner would receive a $1,000 gift card to the store. There were three posts promoting the contest; each post was boosted with a $300 budget. The contest generated 155 entries and grew Copp’s Facebook following by 4.3%. Beyond submissions, they also saw an active community share stories and bolster each other in the comments. The posts reached a total of 51,163 people with 2,528 total engagements. Social contesting allowed Copp’s to boost their social presence and connect with their audience in a fun and meaningful way. Instagram is popular with teens and young adults — 62% of Instagram users in Canada are between the ages of 18–34. Similar to Facebook, Instagram’s algorithm favours posts with higher engagement, elevating them in a user’s feed. A tip for an Instagram post is to try to get the main point across in the first 125 characters — before Instagram cuts off your caption. For example, write ‼️ GIVEAWAY ‼️ at the beginning so that users are aware of the main message and CTA. West Coast Kids is a Canadian baby store with over 46k Instagram followers. They held a “Christmas in July! 12 Days of Giveaways” contest that garnered 41,619 total likes and 42,853 total comments across all of the promotion’s posts. They partnered with brands they carry in their stores to give away strollers, cribs, high chairs, and other baby necessities. This was a valuable contest because each post encouraged followers to engage in different ways. In addition to following the partnered brands and tagging a friend, each post would ask people to answer a different question, including their favourite summer song. Despite the impressive prizes, West Coast Kids didn’t let the prizes take over the contest. They made sure that their followers were engaging in the comment section beyond simply tagging friends. Each social media platform has different rules for promotions. Make sure to check out Facebook’s and Instagram’s rules and guidelines before launching any contest or giveaway. Contests and giveaways are sure to get your social media followers excited about your brand and engaging with your posts. 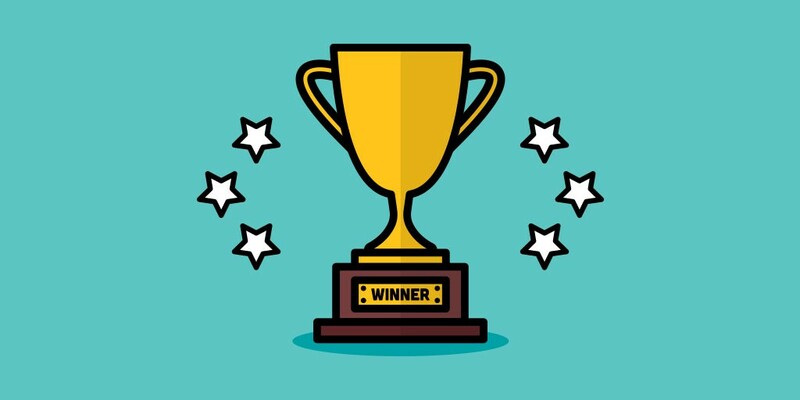 When successfully executed, contests have the ability to expand your following and connect with your target audience in a cheap and easy way. Consider integrating contests into your social media strategy as an easy win!